June 11, 2018 is the day that the FCC’s so-called “Restoring Internet Freedom Order” goes into effect. This represents the FCC’s abdication of authority in upholding the hard-won net neutrality protections of the 2015 Open Internet Order. But this does not mean the fight is over. While the FCC ignored the will of the vast majority of Americans and voted not to enforce bans on blocking, throttling, and paid prioritization, it doesn’t get the final say. Congress, states, and the courts can all work to restore these protections. As we have seen, net neutrality needs and deserves as many strong protections as possible, be they state or federal. ISPs who control your access to the Internet shouldn’t get to decide how you use it once you get online. Three states (Oregon, Washington, and Vermont) have passed state net neutrality laws. Six more (Hawai’i, Montana, New Jersey, New York, Rhode Island, and Vermont) have executive orders doing the same. 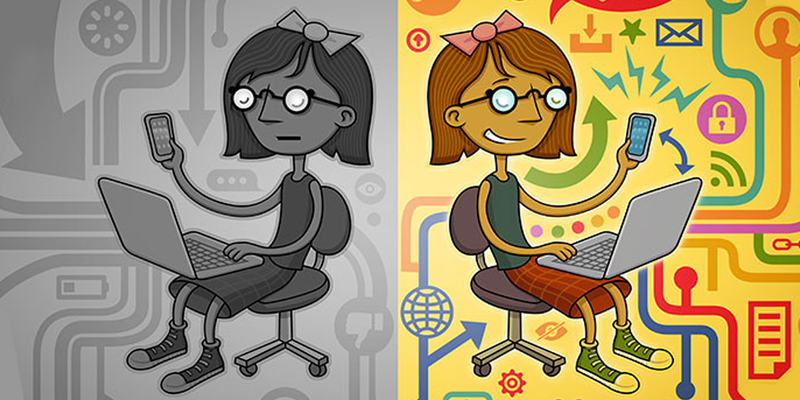 Overall, 35 states have some form of net neutrality protections in the works. Congress can overturn the FCC’s decision and reinstate the 2015 Open Internet Order with a simple majority vote under the Congressional Review Act (CRA). It passed the Senate on May 16 by a vote of 52-47. So now we have to ask the House of Representatives to follow suit. Even though House leadership has said they will not schedule a vote, one can still be called if a majority of representatives sign a discharge petition. You can see where your representative stands and email them to support the CRA here. Now that the FCC repeal is in effect, we need to tell the House to restore protections and keep large ISPs from changing how we use the Internet.